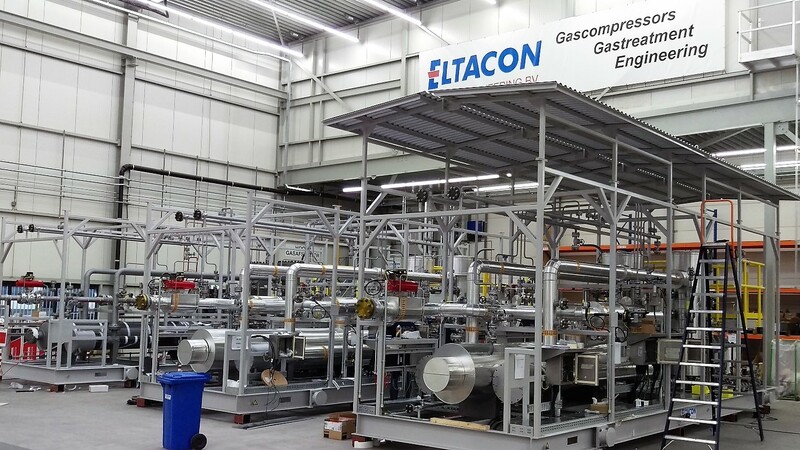 Eltacon has delivered four fuel gas treatment units upstream gas turbines for installation in Oman. A petrochemical project has been constructed for a large plastic industrial complex in Fahud Oman. For this project 2 Gas Turbine driven compressors are used for NGL transportation as well as 2 GT driven power generators, 33 MW each. The fuel gas treatment upstream the four gas turbines include combined knock-out / coalescer filtration and electrical heating. To cope with the environment in Oman the units are equipped with offshore cabling, stainless steel cable glands with shrouds and a sunroof. All piping and components are in Stainless Steel and foreseen with heat tracing and insulation. Each unit is suitable for 2 kg/s of natural gas at 30 barg. The gas is heated to at least 20 °C above the dew point to avoid downstream condensation. Operation is planned for 2019. For more information about these systems please do contact sales@eltacon.com.